Tulip Clock screensaver - download natural flower clock screensaver! Tulip is a symbol of life, perfect love and immortality. 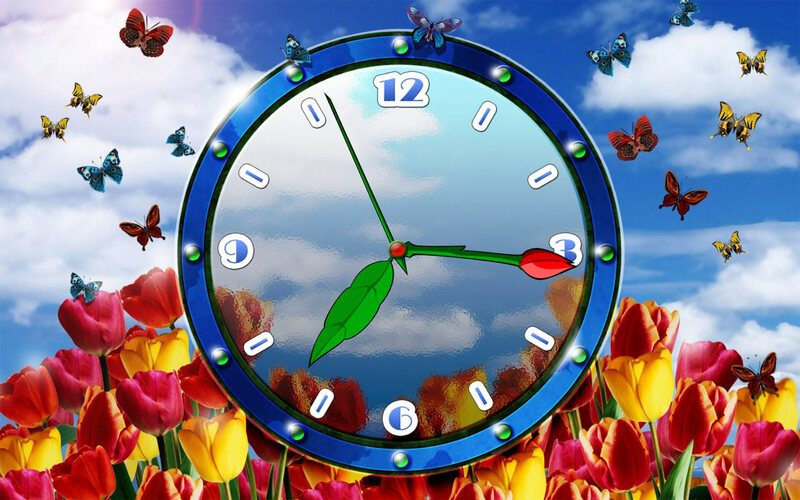 Tulips symbolize the middle of Spring with the brazen-faced and slaphappy butterflies. 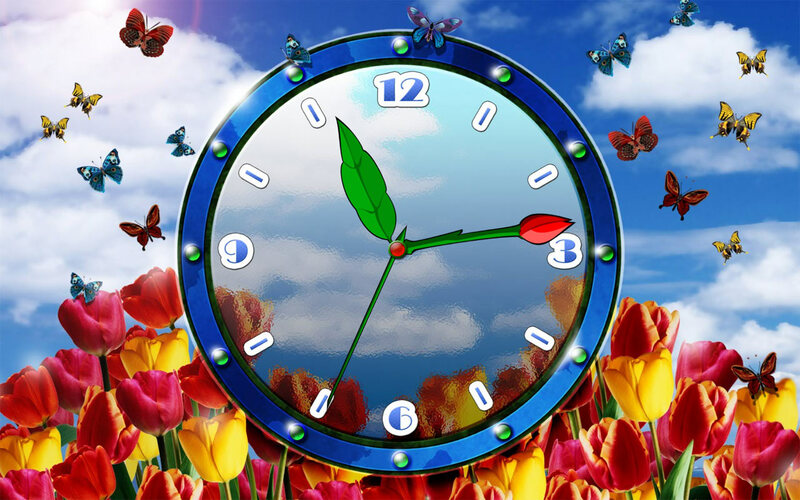 Gather all the pleasures of May together and switch them on any day a year with expressively ticking Tulip Clock!